Day 1 for the ducks on pasture. To make the wife happy they were put in a fort of a tractor (actually a dog run) which I beefed up with chicken wire to reduce aperture size. Only way a predator could get through is with a gas axe. In the morning some dead ducks were noted. Most were torn apart. 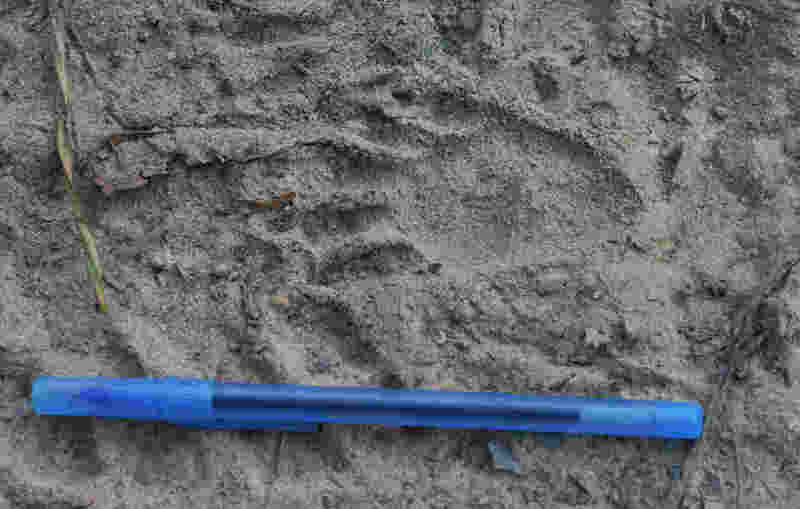 Inspection around the site revealed this footprint. The deadly visit of a racoon. The Racoonn managed to find a place to reach through and grab ducks. It is sad to see how racoonns just rip birds apart and dont eat much of what they kill. So now I have to devise a plan.